Anne Oman (author of “25 Bicycle Tours in Maryland”) brought the Plein Aire Group together at the Kenilworth Aquatic Gardens on a bloody hot day. 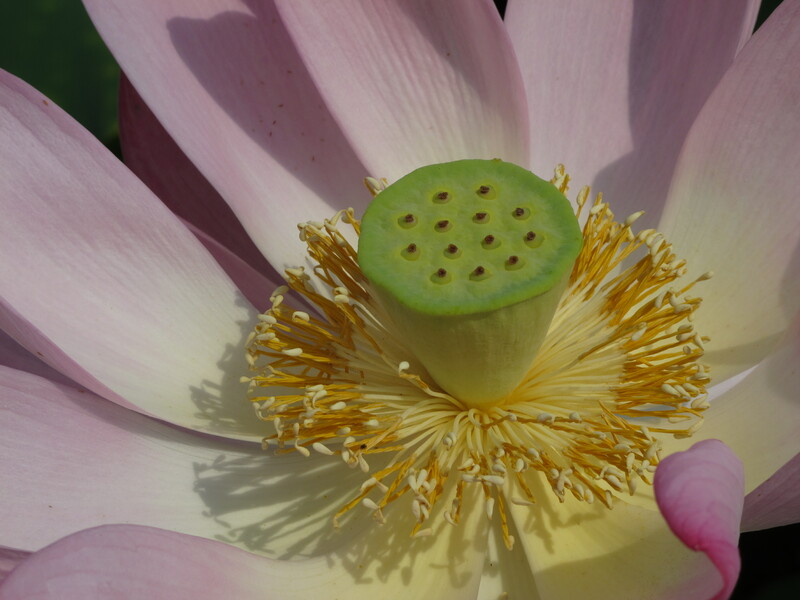 However, the lotus seem to like it that way. The lotus blooms and waterlilies were very showey. Anne and Cato knocked out some bright waterlilies in watercolor and Donna did a fine pastel. I wandered about with my camera in a heat daze and just took some pictures. Photos courtesy of Stu Searles.